Hey future brides, get ready to see some absolutely gorgeous wedding dresses. We are constantly bringing to you the best bridal collections, so here we are today with another one that you will love for sure. This time we are bringing to you the 2017 bridal collection by the Italian designer Lorenzo Rossi, known as the Desert Mistress collection. Lorenzo Rossi was unknown in the world of masters, but his great dedication and hard work make his dreams come true. He was exploring fashion day by day until he realized that his vocation is to create bridal dresses. So, he started doing this, and guess what?… He failed. But he didn’t give up and was aiming to create something overcoming, something imprudent. Lorenzo decided to create a dress for perfect woman, a one that possesses daring, self-confidence and independence. According to him the bride should look alluring and bravely at the same time. All of the dresses from his collection are jaw-dropping and you will agree with this once you see them. Scroll down to check them out and let us know which one of them did you like the best. Enjoy! SEE ALSO: 2017 Milano Bridal Collection By Eddy K.
The dresses from this collection are quite versatile. so there is definitely a dress for everyone’s taste. They are made of the most fine fabrics and have great details added that make each dress quite unique. 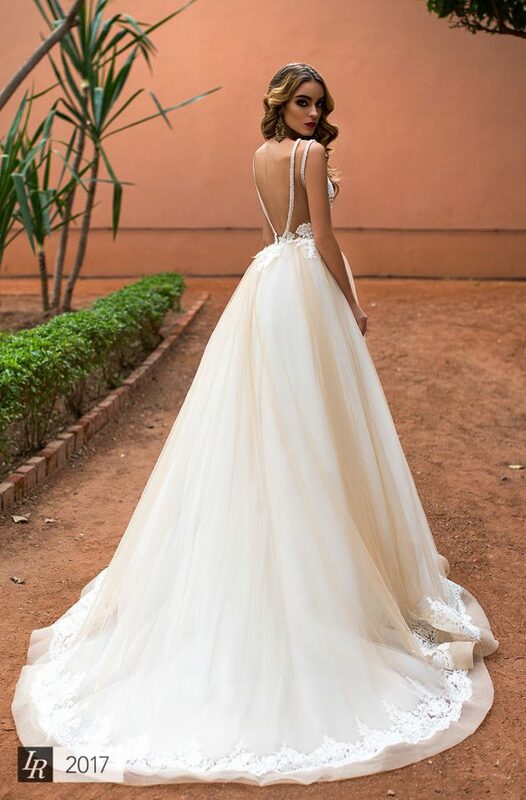 Whether you dream of getting married in a mermaid or ball gown, you will for sure find a dress in this collection. They look amazing, right? We bet that you cannot decide which one of the above dresses is the most beautiful, but still we would love to hear about your choices. Tell us in the comments and of course, don’t forget to stay up to date with the content of Fashionsy to find the best bridal collections from the worldwide famous fashion designers.